Each week we will bring you the latest in television news, episode trailers, and promotional news. From what’s streaming this week to the best scenes from hit series, we’ve got you covered. Everyone remembers the famous Hyman Roth quote from The Godfather: Part II, “And I said to myself, this is the business we’ve chosen; I didn’t ask who gave the order, because it had nothing to do with business!” This sentiment will always stick. When you choose something, regardless failing circumstances, you have to accept that it sprouted from a decision of your own making. For fans of Showtime’s hit series Homeland, one fact prevails: our beloved lead is bipolar. Throughout the chaos, the images of instability, and frazzled logic, we understand that this is the main character we’ve chosen. Each year we consume Carrie Mathison’s high intensity antics and flare for danger. We love it. No matter the stakes, we’re right there with her reconciling her volatility as necessity. 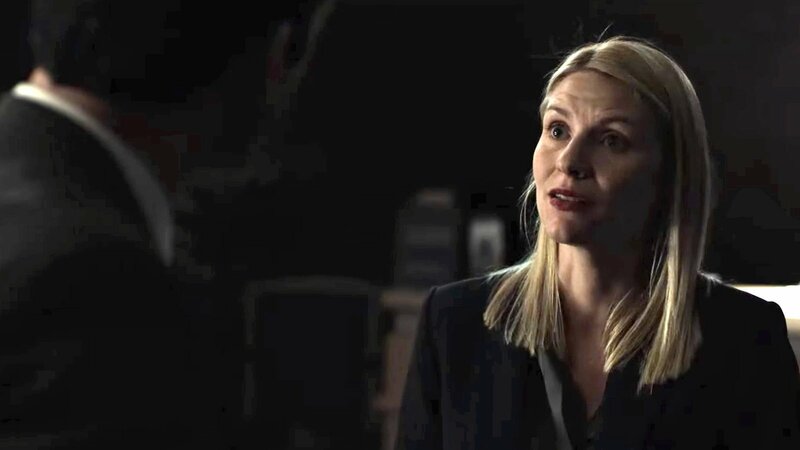 Just as Roth accepts the perils of criminal life in order to reap the financial benefits, Homeland viewers uniformly believe that without “Crazy Carrie” nothing would get done. In the first three episodes of season 7 the audience has seen Carrie wearing wigs, hopping out of car trunks, club a guys knee caps, get arrested, and shuffle the deck of her meds. The show’s arc does such a great job of contrasting her extremities with a murdered general, FBI sieges, political corruption, and an inept presidency that viewers seem to dismiss Carrie’s obvious breakdown. In a sea of countless Saul Berenson screw-ups, an alt-right psycho, and moronic presidential advisors, fans will stick with the fragility they know and shakily trust. The season is building towards a climatic collision between Carrie’s deteriorating psychosis and the presidency she’s seeking to tumble. There will be more shootouts, more near death scenarios, and more glimpses of this protagonist’s dwindling hold on reality. The haunting question is; at the end of the season when fans search the rubble of all that’s happened, and its Carrie Mathison that left in fragments, will it be worth it? -Oscar ratings dropped to 26.5 million total viewers. Early estimates predict that its an all-time low for the pillar of award season. I am not shocked. Here’s a tip: it’s incredibly long with few relevant moments. They wasted minutes on that Jimmy Kimmel goes to the movie theater with a snack gun bit. Who asked for that? – Lovecraft Country is the newest HBO production that you’ll inevitably be obsessed with. The series partners Oscar winner Jordan Peele Sci-Fi king J.J. Abrams. Based on the 2016 novel by Matt Ruff, the series will tell the story of Atticus Black’s journey across 1950s Jim Crow America to find his missing father. Lovcraft Country will premiere on November 9th, 2019. -Sticking true to the rinse and recycle motto of entertainment, the Roswell and Charmed reboots are a full go. This week these shows’ respective networks announced castings for the productions. The three sisters holding down Charmed will be Melonie Diaz, Madeleine Mantock, and Sarah Jeffrey. The Roswell casting isn’t as interesting or picture worthy. Here’s a link if you’re into basic men. – On Wednesday, March 28th, NBC will be airing Andrew Lloyd Webber Tribute to a Superstar. The musical celebration will feature John Legend, Glenn Close, Lin-Manuel Miranda, and more. Please be on the lookout for every music theater student filling twitter and facebook timelines with vocal mistakes. – To nobody’s shock Black Mirror and Schitt’s Creek have been renewed. They’re both hit series for their networks. Their renewals were as much of a sure thing as your coworkers calling out on a snow day. NBC has a new show that’s been gaining a steady buzz over the past few weeks. The comedic storyline of Good Girls centers around sisters Annie and Beth and their friend Ruby. The trio, fed up with the frustrations of life, decide to hold up a local grocery store. 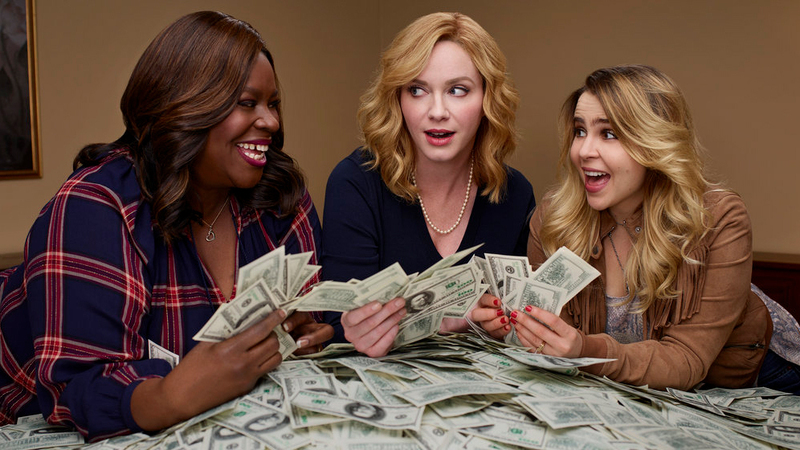 Christina Hendricks, Retta, and Mae Whitman wonderfully play women in financial distress. From medical expenses to legal battles, all of the women have a hard lined reasons for agreeing to the stickup. As a result, their lives get thrust into a spiral of danger, risks, and chaos. Tune in to watch why the girls should’ve listened to Biggie’s “more money more problems” warning. Good Girls airs on NBC each Monday at 10PM EST. Alicia Keys tried it! Last week on NBC’s The Voice the Grammy award-winner was trying to give her best pitch for a perspective singer to join her team. In her plea, she asserted that she was the ONLY judge on the panel with the range of the contestant. Understand, the singer did not sing in the low key where Alicia lives. There were some high ranging vocals in his performance. The entire crowd look surprised as did stellar vocalist Kelly Clarkson who was sitting next to Keys. Lets be honest, when you think of vocal range, Alicia Keys never comes to mind. She’s a great musician and songwriter. She can hold a note. If you want somebody playing the piano who can’t sing better than Ashanti, she’s your girl. Plenty of music fans has a reaction to the moment of fallacy.